Of all the commandments, the Tenth Commandment has a tendency to be the most contentious. Depending on how it is read, it can be the most difficult to adhere to, the most difficult to justify imposing upon others and in some ways the least reflective of modern morality. What Does It Mean to Covet? To begin with, what exactly is meant by “covet” here? It’s not a word that is often used in contemporary English, so it can be difficult to be sure about how exactly we should understand it. Should we read this as a prohibition against any sort of desire and envy, or only “inordinate” desire — and if the latter, then at what point does desire become inordinate? Is desire for what others have wrong because that leads to attempts to steal the possessions of others, or is it rather than such desire is wrong in and of itself? An argument for the former could perhaps be made, but it would be far more difficult to defend the latter. Despite that, this is how many religious believers have read the passage. Such an interpretation is typical of those groups which believe that whatever a person has is due to the work of; thus, desiring what a person has is in effect to desire that God had acted differently and is, therefore, a sin. None of the other commandments have anything to say about the social relationship between the rich and powerful and the poor and weak. Like every other society, the ancient Hebrews had their social and class divisions and there would have been problems with the powerful abusing their positions to get what they wanted from the weaker. Thus, this commandment has been treated as a condemnation of behavior which unjustly benefits oneself at the expense of others. It is also possible to argue that when a person covets the possessions of another (or at least spends too much time coveting), they won't be appropriately grateful or content with what they have. If you spend a lot of timing wishing for things you don't have, you won't be spending your time appreciating the things you do have. Another problem with the commandment is the inclusion of “wife” alongside material possessions. There is no prohibition against coveting another’s “husband,” which suggests that the commandment was directed only at men. The inclusion of women alongside material possessions suggests that women were considered little more than property, an impression that is borne out by the rest of Hebrew scriptures. Neither shall you covet your neighbor’s wife. Neither shall you desire your neighbor’s house, or field, or male or female slave, or ox, or donkey, or anything that belongs to your neighbor. There is still no prohibition against coveting someone else’s husband, and women remain in a subordinate position; nevertheless, wives are separated out into a different category with a different verb and this represents at least some modest improvement. There is also a problem associated with the prohibition against coveting “his manservant” and “his maidservant.” Some modern translations word this as “servants” but that is dishonest because the original text is about owned slaves, not paid servants. Among the Hebrews as well as other cultures of the Near East, slavery was accepted and normal. Today it is not, but common listings of the Ten Commandments fail to take this into account. 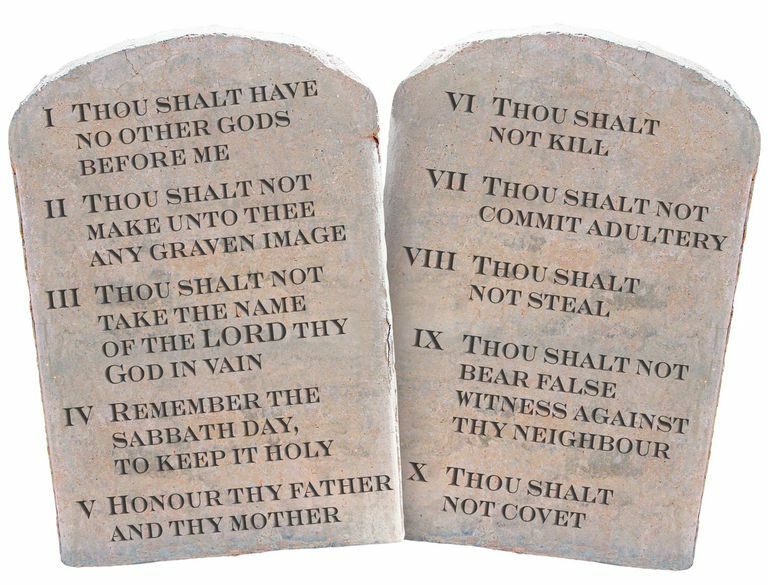 Ten Commandments: A Basis for American Law? What Does 'Thou Shalt Not Kill' Really Mean?